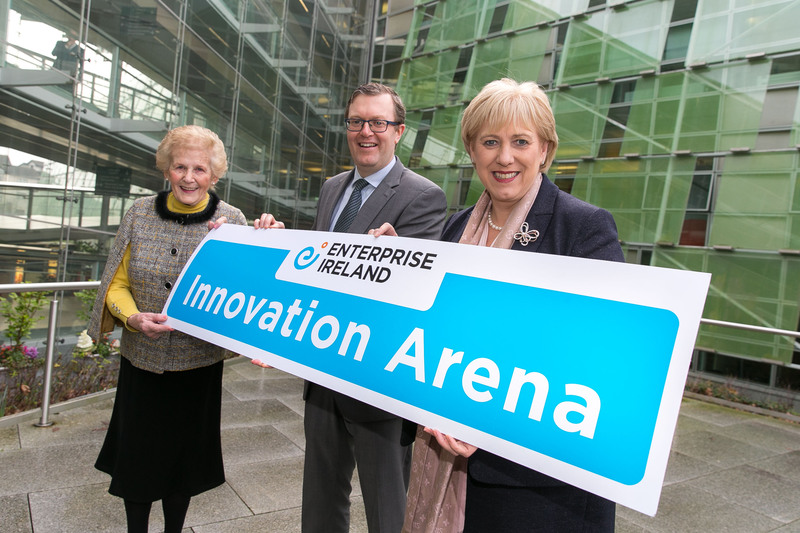 Top prize fund of €15,000 for overall winner of the Innovation Arena 2019 Applications for the Enterprise Ireland Innovation Arena and Awards at the National Ploughing Championships, in conjunction with the National Ploughing Association (NPA) are now being accepted. Irish agri companies are invited to apply to showcase their products and innovations at the Innovation Arena from the 17th – 19th September at the National Ploughing Championships in Ballintrane, Feenagh, Co. Carlow. Enterprise Ireland is calling for applications for the Innovation Arena Awards at the National Ploughing Championships from Irish companies in the agri sector. The awards will take place within the popular Innovation Arena at the heart of the National Ploughing Championships in Ballintrane, Fenagh, Co Carlow, 17th – 19th September 2019. Pictured are Anna May McHugh, Managing Director, National Ploughing Association; Mark Christal, Manager of Enterprise Ireland’s Regions and Entrepreneurship Division; Minister for Business, Enterprise and Innovation Heather Humphreys TD.